As usual you will dig deep for some good books - I have read one of his books which was quietly sarcastic about the British Raj which I found I had to read on and on without stopping. These two short stories are new to me. 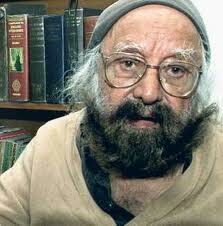 Khushwant Singh is a fantastic writer with a distinctive writing style that keeps the reader engaged. Over the years I've enjoyed his books, essays and columns even though I might not have always agreed with the subjects he writes on. I didn't recognise the title of the first one, but with your brief outline of "Karma" I knew I'd read it, and it was one of those stories that struck me forcibly enough to stay with me for awhile. I studied it in school, I think. And the mentality that Lal seems to have...it's still prevalent in many ways and many degrees in India... not necessarily for the British but for the West on the whole. Sad but true.